Combine cucumber, lemon juice, and oregano in small bowl. Spread hummus evenly over pita. 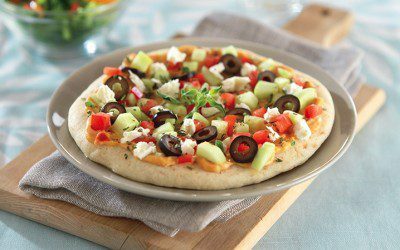 Top with cucumber mixture, tomato, olives, and Dairy-Free Feta. Note: To reduce the sodium in this recipe, rinse and drain the olives.